We interrupt our regularly posted Emotikin photo-stories to add our story to “The Next Big Thing” a blog chain winding its way through the internet from SheWrites.com. I’m happy to participate by answering 10 questions about my new book, Damocles’ Wife. Many thanks to Deborah Strobin for inviting me to join. 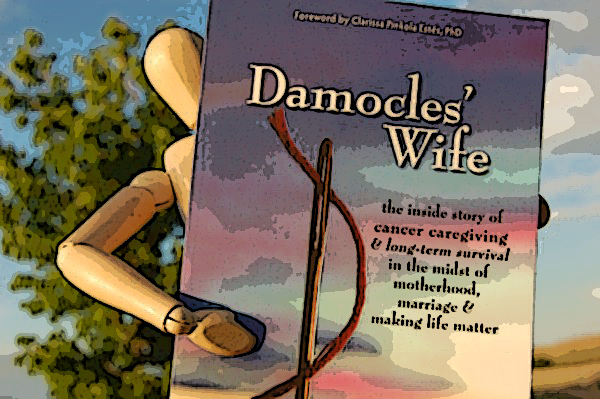 The book is titled Damocles’ Wife: The Inside Story of Cancer Caregiving & Long-Term Survival in the Midst of Motherhood, Marriage & Making Life Matter. You wouldn’t believe how many working titles I had and how many years it took to find the right one! I had settled on the subtitle before the title came to me. Only Scott and I knew, as we feasted, that a sharp samurai sword hung in the air over our table, over Scott’s head, his Sword of Damocles. From where I sat, I could see it quite plainly. Is that the caregiver’s curse—to notice that sword on a thread more often, more clearly, than the patient himself? It was time to step out from under that sword. I had a feeling as soon as my husband was diagnosed with his brain tumor that I would want to write a book someday to capture what was going on inside my head and heart and maybe help others on the same path. I also credit Laura Ingalls Wilder, because I read the Little House on the Prairie series too many times as a kid, assuming everyone kept journals to someday write books based on their own life. 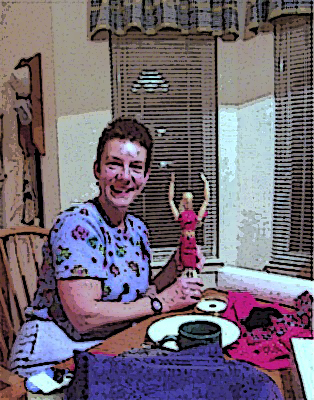 Cancer caregiver memoir. I’d file it under “Health & Healing” with non-fiction cancer or caregiving or self help books. Well, John Travolta and Kyra Sedgwick were already us in Phenomenon in 1996 – before our own story even started in 1998. For Damocles’ Wife on the big screen, I used to imagine Helen Hunt for me and for Scott, Mark Ruffalo (ironically, he actually had his own benign brain tumor in 2002). Since most of the book is when we’re only 33 years old, I’ll have to think of younger actors now! It was two years after Phenomenon when Scott’s brain tumor arrived. Watching our videotape of the movie one night, we gasped at the moment when the character was diagnosed with an astrocytoma. Damocles’ Wife reveals the inner journey of a cancer caregiver, a young wife and mother whose husband becomes a long-term survivor of brain cancer. It’s the whole family’s story of summoning courage, hope and faith while learning to cope not only with the practical aspects of cancer and caregiving but, most essentially, how to really survive—in your soul. It is self-published under Two Louise Press … “because I could.” I learned the ropes in my former publishing job and I love the whole process of book editing and design, too. I lived my first draft by writing in my journals and wrote emails to document our cancer treatment phase, so that was about one year. Then a few years later I spent one focused hard-working summer to write actual chapters. That was wrapped between a few incredibly supportive semesters in a writing group under Women Writing for (a) Change. Some parts were really hard to remember and to put into words. All summer of 2004, I had been struggling to write our stem cell chapter, still trapped in my fear on the church lawn that long-ago Sunday morning. But now I thought I could write of it, starting with the meaning of the oriole moment. The bird story poured out on paper, but when I tried again to recreate the day in 1999, I was still stumped, unable to release my memory clamped shut by fear. So I revisited my 7/11/99 journal entry, looking for clues to my courage back then. As far as I can tell, and I’ve looked long and hard, this is the first cancer caregiving memoir to cover long-term survival. Most books for caregivers are non-fiction “how to” books and memoirs are written after a patient dies. Cancer survival, for us at least, was surprisingly harder than the treatment — facing permanent disability and how life changes so much. There are cancer survival books written by the patient. Embrace, Release, Heal by three-time cancer survivor Leigh Fortson (who is my friend) is a memoir that addresses the physical, emotional and spiritual aspects, and alternative medicine — it’s from the patient’s perspective not the caregiver’s. Mine is a hybrid memoir that shows the practical tools in action for facing cancer and also delves into the inner life of the caregiver. There are classic books that just help address the spiritual aspect of deep change that inspired me to keep going. I had so much inspiration. The samurai-like bravery of my husband Scott for the way he faced his cancer, and my good friend Julie (pictured here), who had breast cancer at the same time (she was our trailblazer, with her diagnosis one month sooner than Scott’s). And as the years unfolded, we became friends with so many other young couples facing brain tumors. Having met them made us feel more hopeful and connected, and I wanted to pay it forward by sharing our story in depth. Finally, our neuro-oncologist is one of the very few in the country who is beating the odds for brain cancer survival, so this is also a tribute to him and his team. Also see #10 below! As we cleaned up the dishes and put plastic wrap on the leftover pies, Scott and I talked about how impressed we were by the McDowell’s calm grace and their willingness to interrupt their own treacherous, hectic journey to spend an hour with us. They didn’t come to solve our problems, but to share a slice of pie and their compassion. “I hope we can do the same thing for other patients some day,” I said. You can meet someone with another type of cancer and feel some sense of connection. But until you meet someone with the same diagnosis, in the same boat, the same situation, you can’t help but feel alone, as if nobody has walked in your shoes. My son was only four-years old at the time his dad was diagnosed, and so much of the book is about being a mom and all the considerations like child care, separation anxiety, talks about death, anger. On top of that, my mom is a long-term survivor of ovarian cancer, but her survival was a mystery to me and the book reflects on that. And then there’s the Healing Touch, a complementary energy medicine treatment, that I think was as essential to our family’s health/soul-survival as it was to coping with Scott’s brain surgeries, chemo, radiation and stem-cell rescue. Caregiver burnout is a real thing and a health crisis that people are just starting to talk about – this book is my small way of trying to raise awareness by offering our story like a case study. In April 2012, TEDMED named “The Caregiving Crisis” the #2 most important health and medical issue of the year. My book is part of a caregiver support website that began long before the book called www.CaregiverHope.com. Finally, as a clue to what I allude to in chapter 47, Learning to Play, this Emotikin website represents the creative project that saved me from caregiver burnout before I could even begin writing my book. 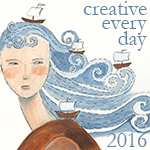 Creativity was my lifeboat. It not only kept me afloat, but it gave me the buoyancy to lift my arms and my face to the surface, frog kicking, breast stroking my way to the shore. 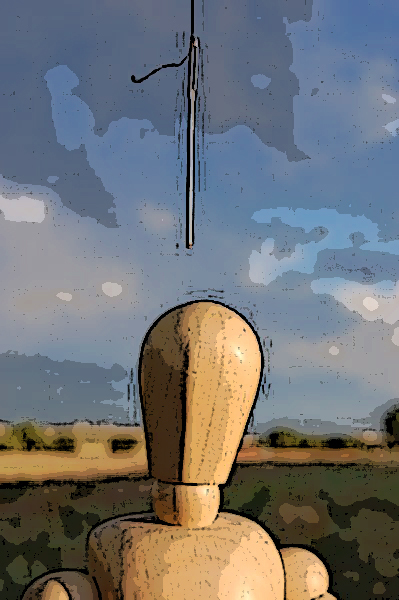 Creativity was swinging from a rope like Tarzan’s transformed Jane, letting go, falling, feet first in a pond, squealing and yelling just to be loud, not caring how stupid you look soaking wet in a swimsuit. Skinny dip, if you dare. 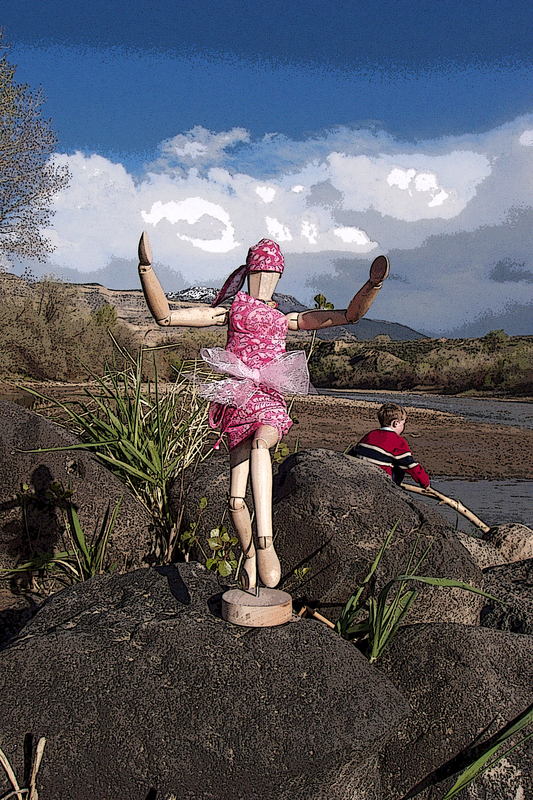 Bella Luna’s photographic debut on the banks of the Colorado River, April 2003. P.S. I have some emails out to other writers but don’t have names to list yet for the blog chain.